We were so excited to receive one invitational entry to the 2014 Boston Marathon. But then we had to figure out the hard part: who can run for Lovin’ Spoonfuls? With runners on our board, our staff, in our friends & family, we had to find someone passionate about the work we are doing and willing to utilize his/her networks to fund raise on our behalf. 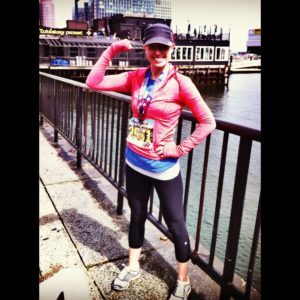 We are thrilled to have Jennifer Gove heading our one-woman Boston Marathon team and look forward to cheering for her on April 21st. Check out her fundraising page here and donate to support her run!